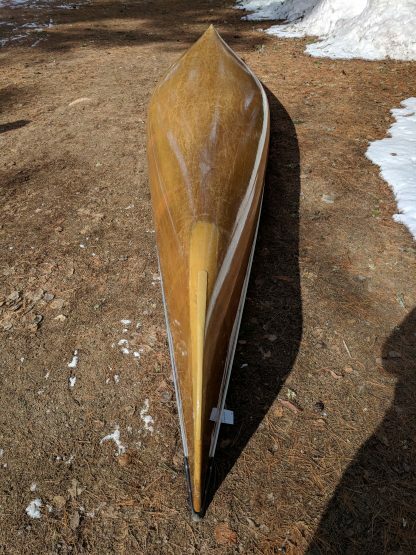 While in the BWCA Wilderness, you’ll see a lot of these Jensen-designed canoes. 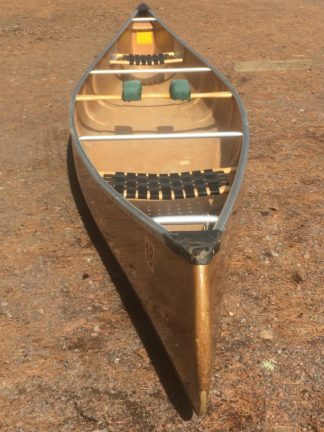 The Minnesota II is highly regarded by the dedicated paddlers, professional guides, and wilderness rangers. It is 18.5′ and weighs in at 42 lbs. 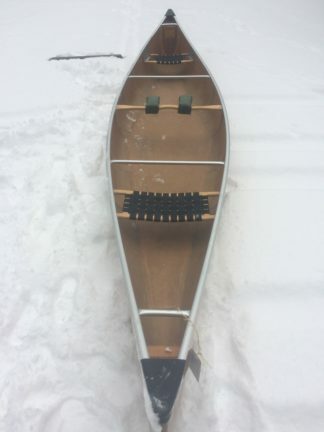 It has a new coat of vinyl ester resin on the bottom and refurbished Kevlar skid plates. 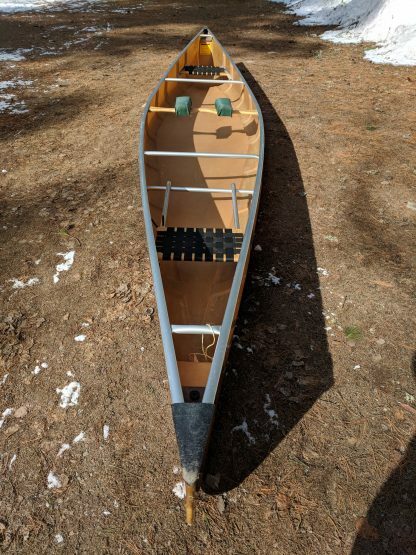 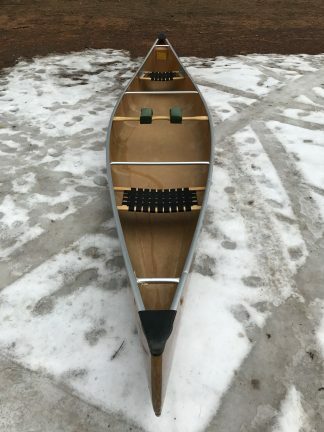 There are many years of paddling joy to be had in this canoe.